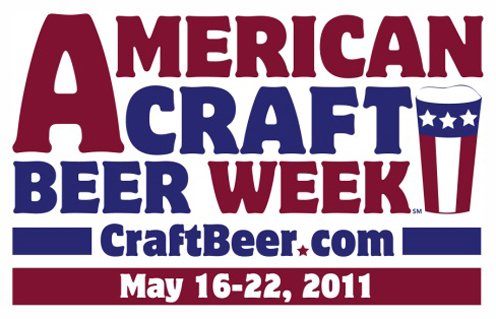 The BR Beer Scene: It's American Craft Beer Week! Hello everyone, and a happy American Craft Beer Week to all of you! The celebration officially kicks off today, although I know some bars started a little early. If you're looking for a good way to try some new craft beer in Baton Rouge, the first place I'd recommend is the Tin Roof Brewery. They will be having an open house every day this week from 5 to 7, with free beer samples to anyone who wants to come by. In addition, the Food Truck Roundup will be at the brewery on Wednesday for an even larger open house and tasty bites to compliment the beer. The Londoner will also be hosting special tastings all week as they celebrate craft beer's best week of the year. Tonight will feature Moylan's and Saint Arnold, on Tuesday they will have special taps of Sierra Nevada and Stone, Wednesday is all Lazy Magnolia and Covington, Thursday is Abita and Harpoon, Friday is Rogue and Magic Hat, Saturday is Flying Dog and Schmlatz Brewing, and they finish it off on Sunday with some NOLA, Sam Adams, and Brooklyn beers. I'd be most excited about the Stone and Schmaltz offerings, but I'm afraid I'm not going to have time to swing by at all. 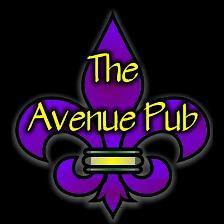 The best place to celebrate American Craft Beer Week is definitely The Avenue Pub in New Orleans. I know it's not always easy to just head down there and drink a few, but if you have a chance this week or this weekend, it's the place to go. They will have special releases every night and that's on top of an already outstanding craft beer lineup. They have also put together a list of other locations hosting Craft Beer events, so check it out! And if all else fails, just buy some craft beers at the local store, and enjoy with some friends!